The cast aluminum patio bench ROSALIA is a classical and stylish choice for garden, courtyard or any other place for relaxation. This cast aluminum patio bench offers a comfortable seating and gives a elegant style to your garden. The cast aluminum patio bench is painted with special paint for the outdoor. The paint provide a superior protection of the aluminum components and gives the bench a high resistance over time. On your request, the patio bench can be antiqued with gold, silver, copper and green. Sustained weight 160 kg. For terraces and restaurants on demand the aluminum bench legs can be supplied strengthened. Max. sustained weight: 160 kg. Aluminum Garden Bench BEDFORD-ARThe aluminum garden bench is a classical and stylish choice for gard.. 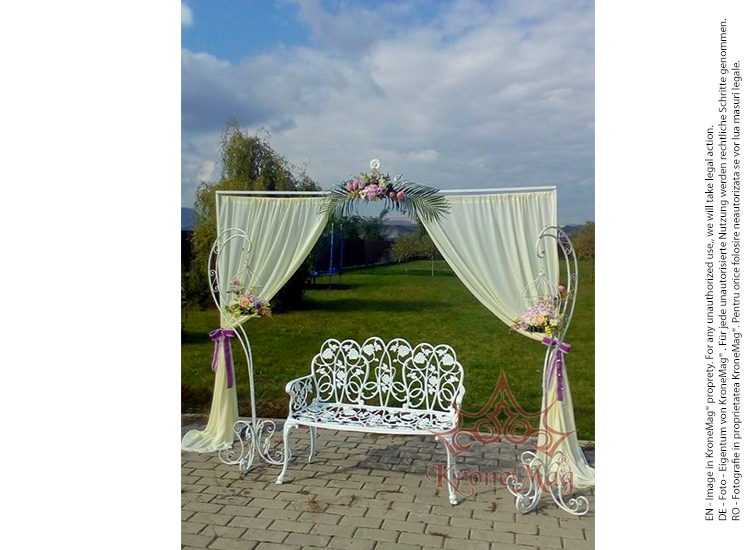 Cast Aluminum Garden Bench MESSOLDThe cast aluminum garden bench is a classical and stylish choice f..